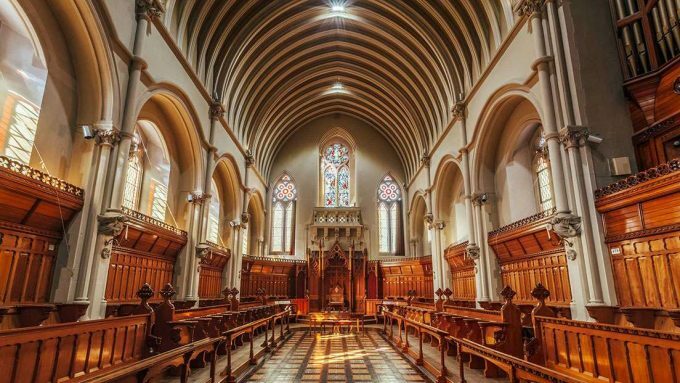 If you are looking for unique conference or event space in Worcester then Stanbrook Abbey which is owned and operated by Hand Picked Hotels is certainly worth considering. Dating back to the 16th Century, Stanbrook Abbey certainly isn’t short on history and was until relatively recently a fully functioning monastery. As you would expect from a venue with a past life such as this, there are some truly fascinating event spaces which can be used for a whole host of events. Unusually, Stanbrook Abbey itself has two very different sides. There is the traditional part of the venue which includes the original chapel (which was deconsecrated in 2009 when the last remaining nuns relocated to the new ‘Stanbrook Abbey’ in North Yorkshire) and fantastic library bar among others. In contrast to this, the venue also benefits from a super modern wing which added only recently and is obvious from the moment you arrive. This side of the venue offers some similarly impressive meeting space with lots of natural daylight and floor to ceiling windows. There is also the Garden Pavilion which is a permanently erected luxury marquee located in the sprawling 26-acre grounds. With only 55 bedrooms, Stanbrook Abbey isn’t the largest venue around but for smaller residential conferences or meetings it would be a great choice. If your event is just for a single day then capacity isn’t such an issue with the Garden Pavillion having the capacity for up to 350 delegates in a theatre seating layout or 160 in a cabaret seating layout. 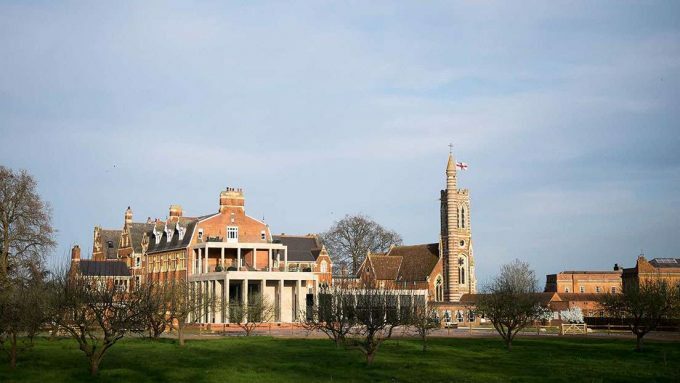 Stanbrook Abbey is an ideal location for team building activities and corporate away days and with 26-acres of grounds to enjoy, there is certainly no shortage of space. White Rhino are an event management company based in Surrey and specialise in conference planning, team building activities, corporate away days, venue finding, and corporate hospitality. If you would like some help or advice planning your next event, please don’t hesitate to contact a member of the White Rhino team. This entry was posted in Venues and tagged Venue finding, conference venues, away day venues, team building venues, stanbrook abbey, event space worcester, conference centre worcester. Bookmark the permalink. ← Team Building Activities: Société Générale enter the Dragons Den!